The Experimental Mine at Missouri University of Science and Technology – home to a popular summer Explosives Camp for high school juniors and seniors – tops a list of 30 Awesome College Labs as determined by Popular Science magazine. The rankings appear in the magazine’s September issue. The Experimental Mine, located on Bridge School Road in southeast Rolla, also features demolition and blasting experiments, where students gain practical experience for industrial and mining careers. 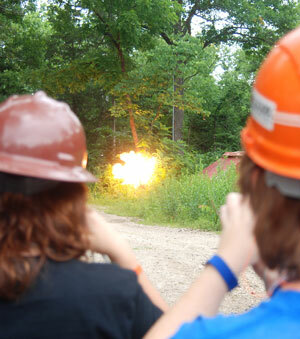 High school students learn the fine art of blowing stuff up at Missouri S&T’s Explosives Camp, one of many activities held at the Experimental Mine. The Missouri S&T Experimental Mine consists of an underground mine, adjacent quarry, and classrooms and labs. There, mining engineering and other Missouri S&T students gain practical experience in surveying methods and practice, mine ventilation, rock mechanics measurements, geological mapping, mine equipment power systems, groundwater testing, drilling and blasting practice, and mine safety and health. The mine has been a part of the university since 1914. Today, the Experimental Mine is also the focal point for Missouri S&T’s explosives engineering program, which is a specialty of the mining engineering department. 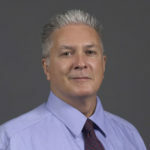 Missouri S&T offers a master’s degree in explosives engineering – the first formal program of its kind in the country – as well as a minor for undergraduate students. It is also the site of an annual mine rescue competition involving rescue teams from mining companies throughout the United States. Missouri S&T’s student mine rescue team, the only one of its kind in the nation, also takes part in the event. The Popular Science feature is available online at http://www.popsci.com/awesomelabs.